Today the memory of World War One soldier Private Andrew McColl was celebrated after a long lost plaque commemorating his service was returned to his family. Officer in charge of the Woodville Police Station Senior Constable Karl Williams was giving the station a thorough spring clean when he came across the plaque at the back of a cupboard. Keen on finding out more about the plaque he made some inquires with NZDF Archives. After confirming some details he discovered the plaque was for a Private Andrew McColl, born in Masterton in 1887 and who died on active service overseas in December 1918. The plaque was sent to the family in 1921 but returned to the Defence Force without explanation. In 1923 it was sent to the town clerk of the Borough Council in Masterton where it was displayed on Anzac Day along with his medals and a scroll. The scroll and plaque were returned to the NZ Army before being reissued to a family member in 1933. At that point the plaque's whereabouts are unknown. 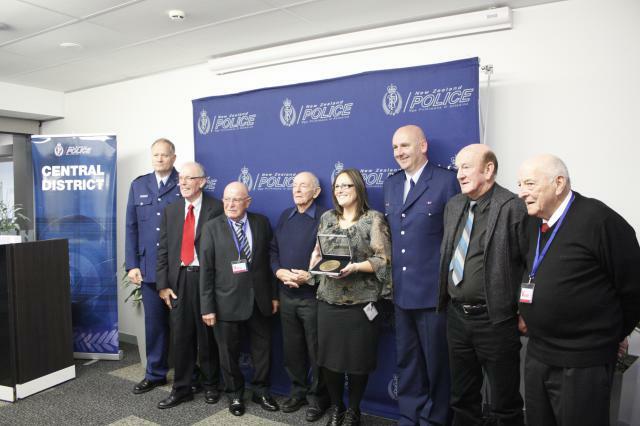 Nearly 100 years on no one knows how it ended up at the Woodville Police Station but Senior Constable Karl Williams was intent on reuniting the plaque with Private McColl's family. 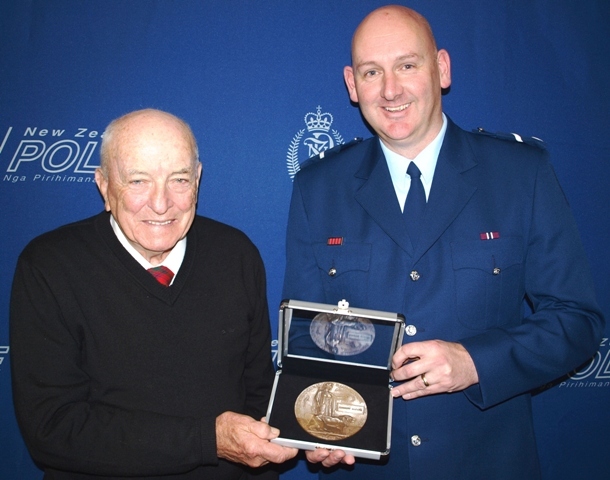 Senior Constable Karl Williams, officer in charge of the Woodville Police Station says: "It was a huge privilege for me to be able to present the plaque to Mr McColl's descendants and reunite them with an important piece of their family history." 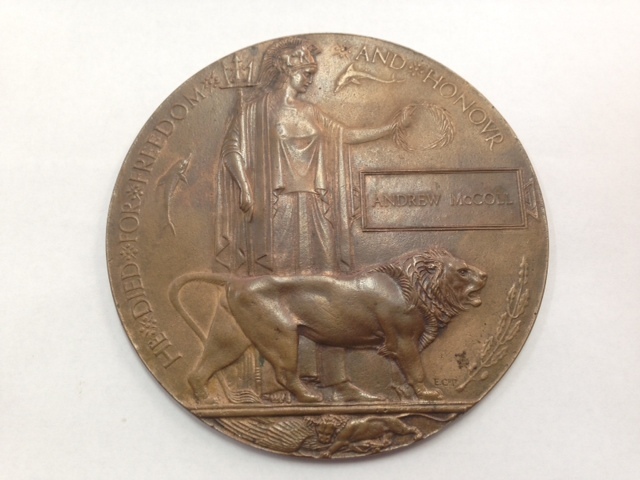 Private McColl died of a cerebral haemorrhage on 18 December 1918 in Belgium and is buried in the Mons Communal Cemetery. "Due to my own family history from World War One and previous military service I recognised the plaque's importance and I was motivated to see it returned to the family," says Senior Constable Williams. Note to media: Images of the presentation can be provided upon request.